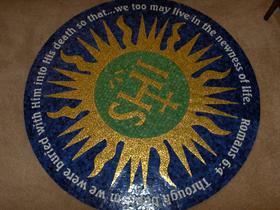 In October 2006, I attended the Orsoni School's Master in Mosaics course in Venice, Italy. 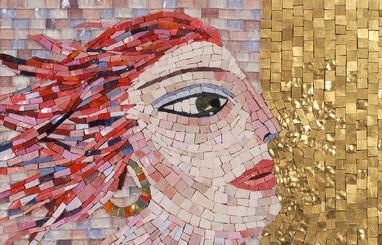 Venice Revisited and Fallen are the two mosaics I created during the 2-week class. Both are made with smalti and smalti golds and metallics. 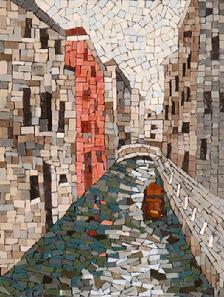 Venice Revisited is a mosaic interpretation of a photo my husband and I took in Venice in 1999. 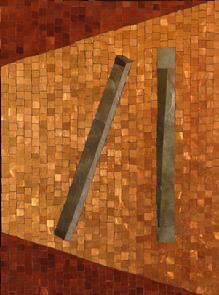 Fallen is a contemporary mosaic using Orsoni's fabulous metallic mosaics. Fallen was part of a juried exhibit at the Ciel Gallery, Charlotte, NC, September 2008. Fallen has also been chosen for inclusion in a book by Brit Hammer-Dijcks entitled, Mosaic - Finding Your Own Voice. wanted the pool to be alive with movement. Yes, the letters are hand cut and shaped! 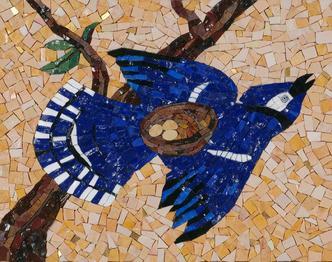 These two floor mosaics, commissioned by the Florida Fish and Wildlife Authority, were installed at the Mile 35 Visitors Center on Alligator Alley (I-75) outside of Ft. Lauderdale in April 2005. 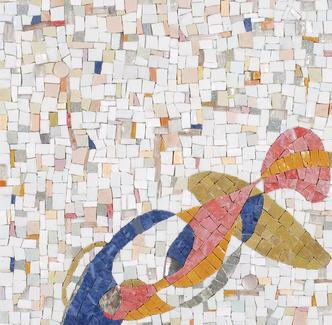 Each mosaic is a "natural history" depiction of the Florida Everglades environment and highlights the difference between alligators and crocodiles. educational place to learn about the Everglades and the efforts being made to restore it.